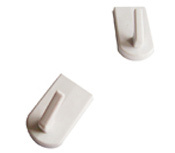 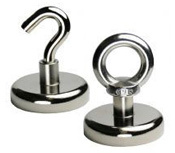 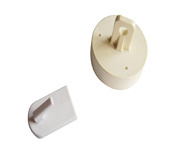 China Rare Earth Magnet Limited specialized in manufacturing magnetic assembly including permanent magnet and hook, such as magnetic ceiling hooks, strong magnetic hooks, magnetic coat hooks, heavy duty magnetic hooks, magnetic door hooks etc. 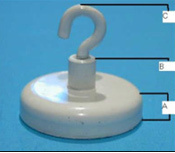 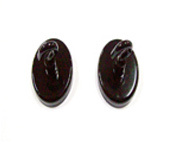 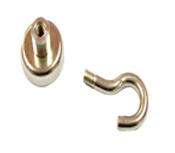 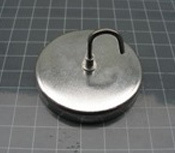 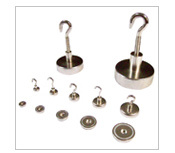 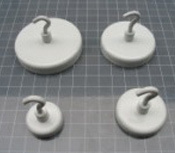 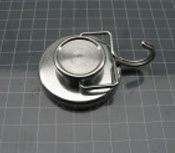 We can produce various kinds of magnetic hooks with different pull force, material and designs. 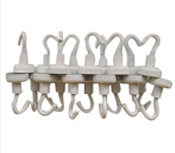 The magnetic hooks made by us have strong magnetic force, smooth and clean surface, which are suitable to sell in supermarkets domestically or abroad. 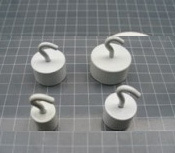 Magnetic hooks, a kind of new magnetic tool, are made of neodymium magnet or ferrite magnet with high quality metal or plastic parts. 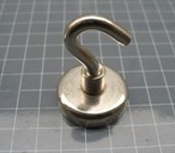 Through special design of magnetic circuits and production process, magnetic hooks have far more powerful magnetic force than a single magnet. 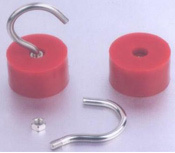 Because of excellent mechanical property of the constitute parts, magnetic hooks can be processed with different kinds of methods, such as stretching, cutting, drilling and polishing. 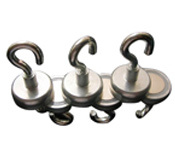 Therefore, permanent magnetic hooks can be customized into variety of magnetic components according to customer’s requests. 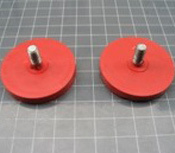 Due to inferior corrosion resistance of magnets and metal parts, we can plate surface with different coating, including zinc, nickel, aluminum, epoxy etc. 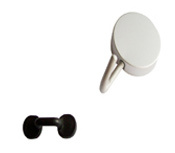 as per different working environments. 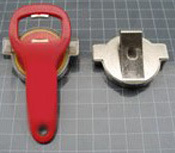 Also, with requirements of color and working face, we can do special surface treating, like, spraying, rubber or stainless steel coating. 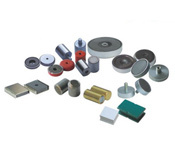 We, in order to meet customers’ needs, will choose appropriate magnets (ceramic magnet, neodymium iron boron, and samarium cobalt magnets), with wide application range, based on different pulling force and working temperature required by customers. 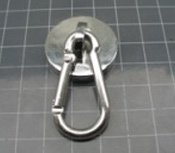 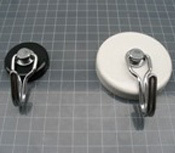 Magnetic hooks will not cause energy consumption and pollution. 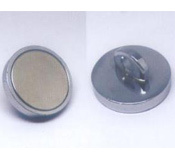 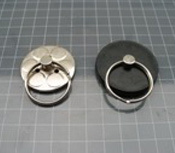 They have strong magnetism, because the internal main parts are rare earth permanent magnets. 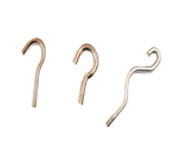 With simple structure, long service life and all kinds of specification, magnetic hooks, currently, are used in mechanical process, automobile maintenance and repair, advertisement and exhibition, office and home appliance.